As a general rule, most children's movies are pretty awful. With the exception of the Disney classics (and, more recently, Pixar films), these movies exist for the sole purpose of shutting your child up for an eighty minute period. Not only that, but because there's usually only one kid's movie in theaters at a time, Hollywood knows that they can churn out whatever dreck they want, and you'll still be forced to sit through it if your kid wants to go to the movies. Thus, we have Happily N'Ever After. If you think that pun-laden title is amusing, then you might enjoy the rest of the film. It's all pretty much on that level. Remember Shrek? Shrek came out in 2001, a rare non-Disney/Pixar animated feature that still managed to amuse children and adults alike. It mocked Disney cliches and spoofed classic fairy tales, but, first and foremost, it succeeded in entertaining due to the personality of its characters. Happily N'Ever After is an attempt to jump on the Fractured Fairy Tales bandwagon, but it has none of the magnetic characters that made Shrek enjoyable. Hell, it doesn't even have any of the cleverness that made Shrek 2 tolerable. Instead, we have a script that reads like a fifth-grader writing fan fiction based on an abridged version of Grimms' Fairy Tales. The central conceit of Happily N'Ever After is that there exists a magical scale that maintains the balance between good and evil in fairy tales. When the wizard in charge of the scale (voiced by a beleaguered George Carlin) goes on vacation, an evil stepmother takes control of the device, unleashing havoc in Fairy Tale Land. It's up to Cinderella and a kitchen boy named Rick to set things right. It's a stupid set-up. But, hey, it's a children's movie, a genre in which the audience is used to settling for the lowest common denominator. So I could accept the premise if it wasn't carried out so poorly. For example, there are also two animal sidekicks charged with protecting the magical scale - a pig and a cat named Mambo and Munk. Even as animated animal sidekicks go, these are pretty annoying. To draw some more Shrek parallels, imagine Eddie Murphy's Donkey, only with double the amount of unnecessary pop culture references and none of the charm. Mambo and Munk are too manic, too talkative, too annoying...I doubt even the most easily amused child would be entertained by their loud-mouthed and all-too-predictable antics. Happily N'Ever After's theory of humor is that any reference to popular culture inserted into a fairy tale automatically makes it funny. Sadly, this is not the case, and it only leads to embarrassing scenes like Mambo and Munk pretending to be hip-hop rappers - a scene composed as if the screenwriters had never seen a black man. But at least the animals look halfway decent. 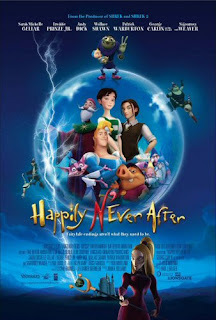 Happily N'Ever After was slated to be a traditionally animated release. But then CGI took off, and halfway through production someone decided that perhaps they should make the movie computer generated instead. This was a mistake. All of the human characters look like a cross between Gumby (left) and the polygonal figures from the "Money For Nothing" music video (right). They move like they're in a Rankin/Bass claymation special, have dead eyes and Botox-ed faces, and are the worst CGI I've seen this side of the Uncanny Valley. Following in the tradition of most animated movies this decade, big name celebrities were cast to do the voices. Cinderella is voiced by Sarah Michelle Gellar, and Kitchen Boy Rick (the narrator of the movie) is actually Freddie Prinze, Jr. But even for voice-acting in a low budget childrens' movie, this is pretty awful. Not only are the actors phoning it in, it literally sounds as if their parts were recorded over the phone. I knew I was in for a rough ride when I saw that Happily N'Ever After was produced by Vanguard Animation. This is the same studio that produced 2008's atrocious Space Chimps, a film that I harbor a personal grudge against, and one that I still haven't quite forgiven Editor Andrew Cunningham for taking me to see. Happily N'Ever After is not quite as bad, but it's still near the bottom of the barrel. If you think your children will be amused by a goofy fairy godmother who constantly uses the word "Salmonella" instead of "Cinderella", rent this film for them. But really, I would only recommend this movie if you need to find a way to get your kids to stop watching so much TV. Pop this sucker in the DVD player, and they'll be reading books and playing outside in no time. Happily N'Ever After is ranked #38 on the Rotten Tomatoes Worst 100 list with 4% freshness. 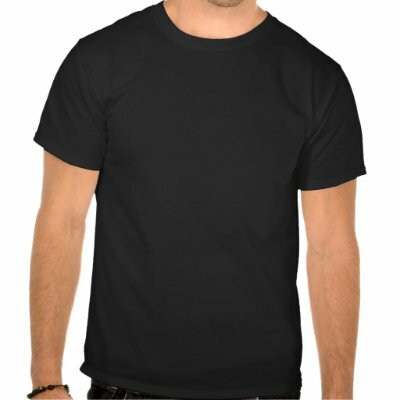 Its RT page can be found here.